Sewing has become increasingly popular over the last few years as handicrafts of all kinds of come back in fashion again. Once thought of as only a hobby for children or pensioners, today, women (and, indeed, some men) have recognized that sewing can be a lot of fun as well as a practical skill to learn. 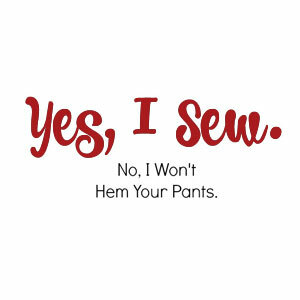 Not only is sewing a great way to pass the time, but it is also a fantastic way to make clothing and accessories for your family and your home with a unique and personal touch. There is nothing more special than making something with your own hands, and you can even save yourself money, especially if you upcycle old clothing, bedding and curtains by turning them into a stylish new item with your sewing machine. Even if you’re brand new to sewing, you’ll find that with the right sewing machine, tackling projects is surprisingly simple. Today’s modern sewing machines may be technologically advanced, taking all of the hard work out of sewing and getting work completed in half the time, but they are often also user-friendly devices. If you choose a sewing machine that is suitable for beginners, you should find that you have no difficulty in getting to grips with the basics of sewing that will enable you to complete a host of exciting projects in no time. 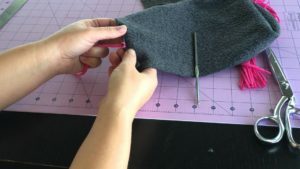 Of course, if you are a newcomer to using a sewing machine, you won’t want to embark on a complex project straight away. You need to learn to walk before you can run, so a few simple projects is the best way to begin so that you can start slowly and learn the skills that you need before progressing onto something more complicated. No home can have too many coasters, and these home-made ones are ideal since they are machine washable and stylish enough to grace any table. They are also incredibly easy to make, even for a complete novice. 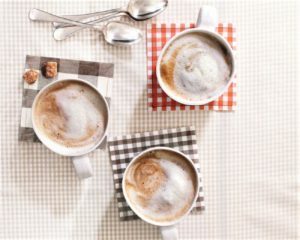 Simply choose your favorite color of gingham fabric, and cut and hem small squares using a contrasting colored thread to make a fabulous matching set for your coffee table. As winter comes back around again, having a cosy, warm scarf to wear is essential to keeping out the cold. While you could always buy one from a store, why not make your own with its own personalized touch by choosing your favorite patterned fabric and pairing it with a comfortable wool fabric to make a double sided scarf that can be worn either way around for a stylish yet practical accessory. Why not choose different fabrics for all the family so that you can easily identify your own scarf at a glance while expressing your individual unique personalities? How many times have you been to the beach and splashed suncream on your cell phone or got sand trapped in the spine of your book? 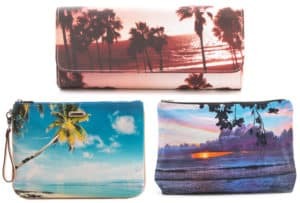 Now you can stop that from happening by making simple sewn pouches in a range of sizes to protect all of your valuables when you’re spending a day by the sea. Choose bright, summery fabrics, cut them to size and simply join together using your sewing machine for a practical yet colorful accessory that’s perfect for summertime. If you’re a beginner looking for a perfect sewing machine to get started on your first sewing project, you’ll need to do your research properly to make sure that you’re selecting one that is suitable for you. Here, you can find some information about two of the top models that are perfect for novice sewers, however if you want some more information about how to choose the right model for you, view this link for extra advice. This popular sewing machine is incredibly user-friendly, making it perfect for beginners, yet it has enough features to grow with you. Surprisingly durable, considering its low price tag, this affordable model is compact and light, making it easy to store in the home and simple to take to classes or to move from room to room. Despite its small size, this machine is powerful enough to tackle even large projects, and can even stitch through thick materials. There are 60 choices of stitch option including a few decorative options, and they are also options for monogramming and quilting. Even better for beginners, stitch diagrams are on the front of the machine, so there’s no need to constantly refer to the manual. Threading the bobbin is extremely simple thanks to the quick set, jam resistant system, and the automatically threading needle makes light work of preparing to sew. Even the feet are easy to change, making this model incredible value for money. All of the accessories can be stored inside the machine’s arm and it comes with a hard case for easy transport. If you’re a beginner who is ready to move to the next step and progress to more complicated projects, the Janome DC5100 is a perfect choice. With lots of inbuilt stitch options and intuitive customizable features, this machine sews reliably and smoothly and is incredibly durable. With its quality onboard computer, it offers plenty of convenience and versatility, and it runs very quietly, making it ideal for home use. This is also a fast machine, operating at up to 820 stitches a minute while the design of the presser foot can adjust automatically to a range of thicknesses and textures without any snags or bunching of the fabric. Thanks to its auto bobbin threader and auto-declutch which can sort jams out automatically, this is a very convenient, simple to use device. As it also features fully adjustable speed controls and an auto lock button, this device is cutting edge.